The art of accessorizing is one to be admired, especially when it comes to bold pieces like the bangle. Though the bracelet’s popularity has ebbed and flowed through the last several decades, we’ve noticed a recent slew of stylish women wearing the bauble in extremely cool variations. If you’re interested in how to wear the piece and where to buy it, scroll on down! Wear a few bold bangles with a striped off-the-shoulder top and blue jeans. Offset a head-to-toe printed look with a set of solid bangles. Match your bangles to your outerwear. Pile on the glitz with bold bangles, an embellished bag, and statement sneakers. Test out a few of your favourite bangles on both wrists. If a bangle sounds too loud for your personality, test the waters with a wooden iteration. 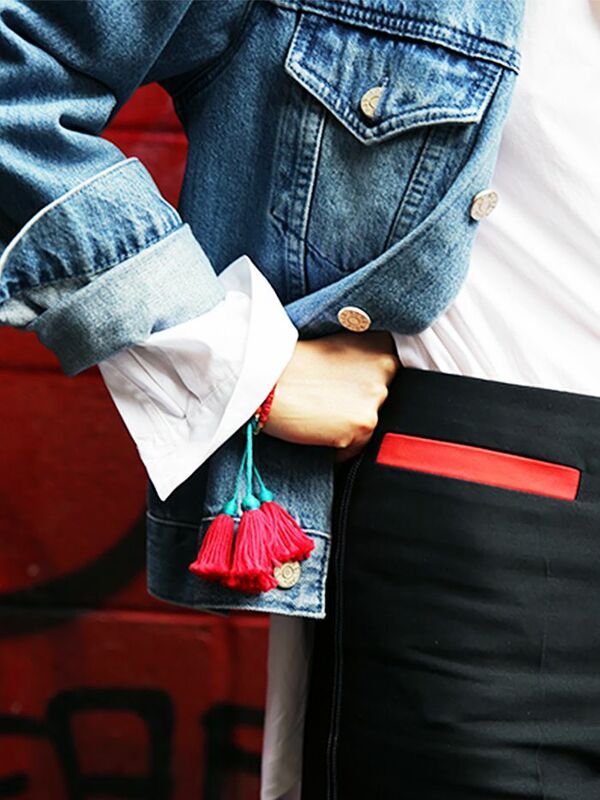 Would you try out this accessory trend? Tell us in the comments below!